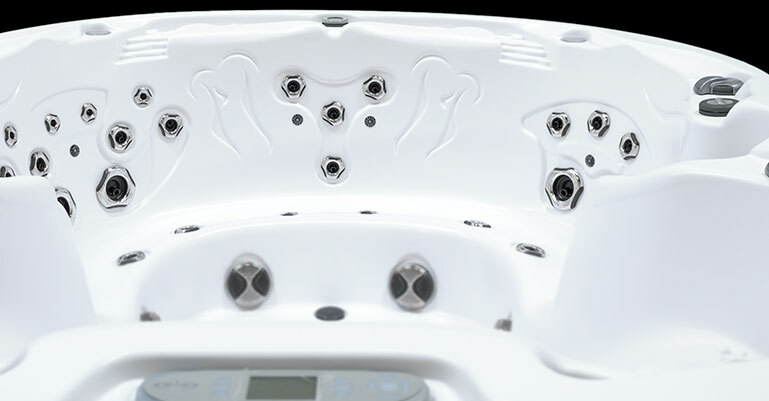 Dimensions: 92" x 110" x 41.5"
The top-of-the-line Executive® spa showcases the most seating options D1® has ever offered, making it the largest and deepest spa in the industry. 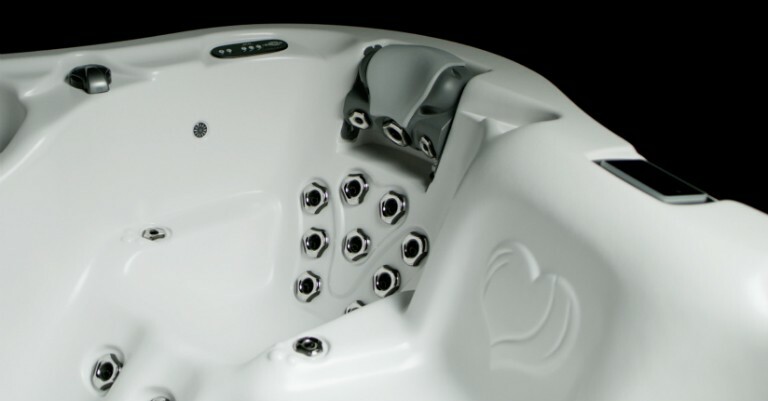 From large, open bench seating to a unique Ultra Therapy Seat™, experience the most versatile head-to-toe hydrotherapy in the Reflections® Collection lineup. With the D1® SpaIQ™ app you can control your hot tub even when you aren’t within arm’s reach of your hot tub. 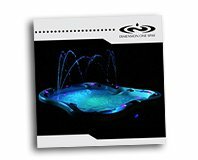 From the convenience of your mobile device, you can turn on your pumps, operate and adjust spa functions, and even set maintenance reminders from anywhere. Learn More about all the features and options here. 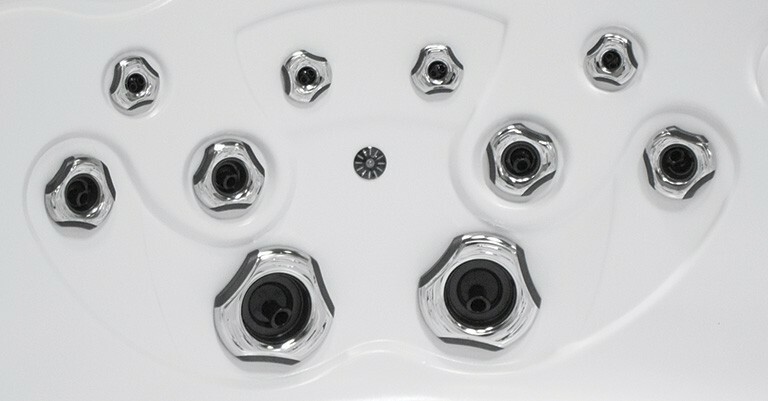 UltraPURE® is the best water management system available in a swim spa today. 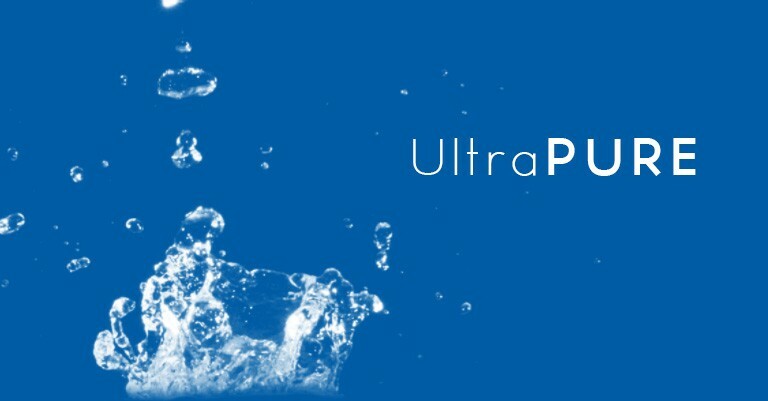 UltraPURE® is more than just an ozone generator; it’s a fully engineered, patented water management system similar to the systems used throughout European municipal waste facilities. It has a dedicated filtration and water management system, processing about 10,000 gallons per day. 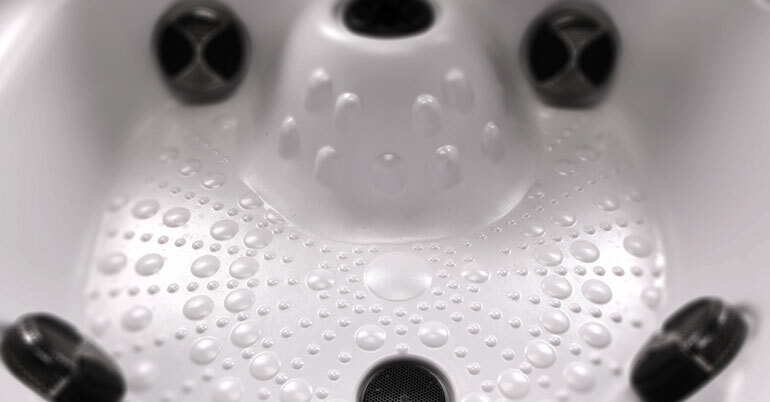 After filtering the water, this system vigorously mixes ozone and water three times to ensure ozone comes in contact with every drop of water – ozone doesn’t just kill bacteria, it burns it up! That means the water in your spa is not just clean, it’s crystal clear. 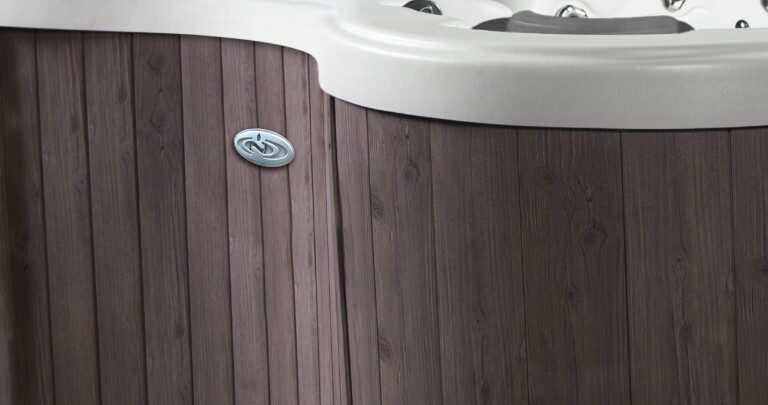 The natural wood tones of the Terracina™ Collection create a realistic beauty unmatched in a hot tub exterior. This natural skirting is exclusive to D1® and provides the most unique blend of durability and beauty on the market. Enjoy nature without the work for years to come. In your choice of five colors. 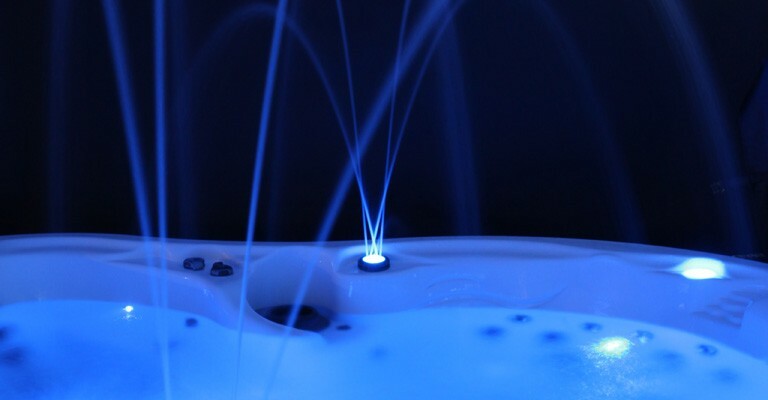 Integrated into the outside of your spa, the LED-lit logo quickly communicates the status of your hot tub. 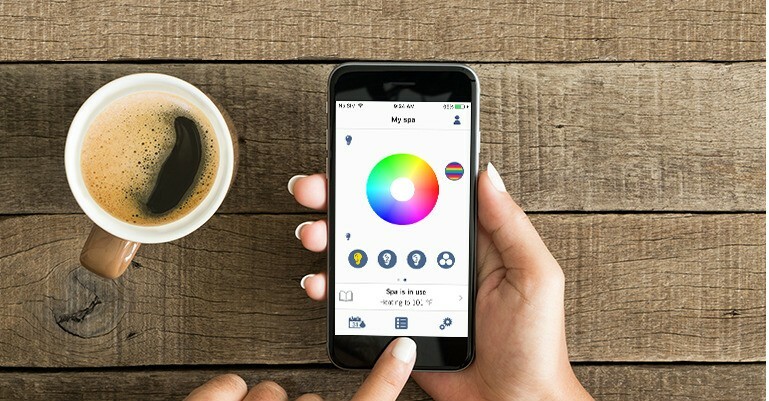 A steady blue light means that everything is okay; a flashing blue light reminds you to perform routine maintenance such as changing the UV bulb. And, a red light easily indicates that your spa needs attention. 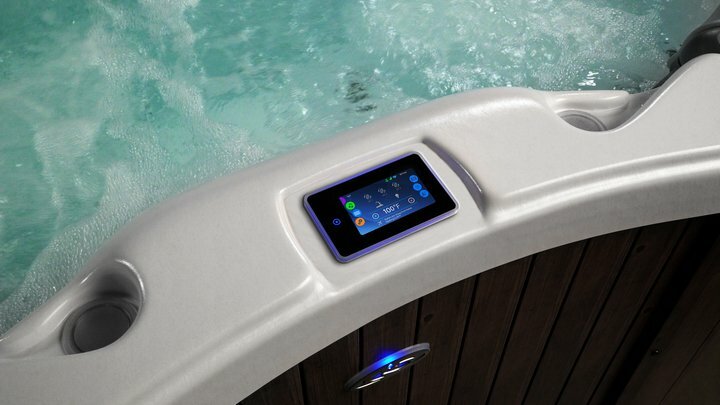 The D1 SmartHUB™ glass touch control manages your hot tub’s major functions in seconds with a large touch screen using a full-color, icon-driven menu for intuitive operation. With true smart touch technology, the large display is easy to use even with wet hands. 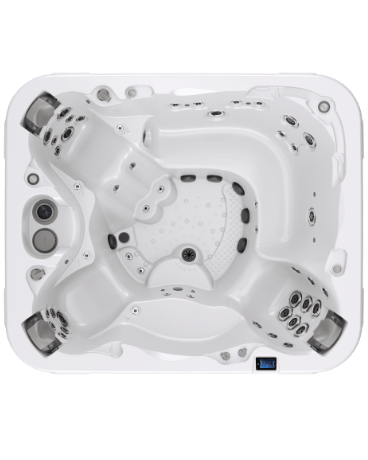 You can tap or swipe to adjust the temperature, jets, filter programming and audio system for an enhanced hot tub experience. 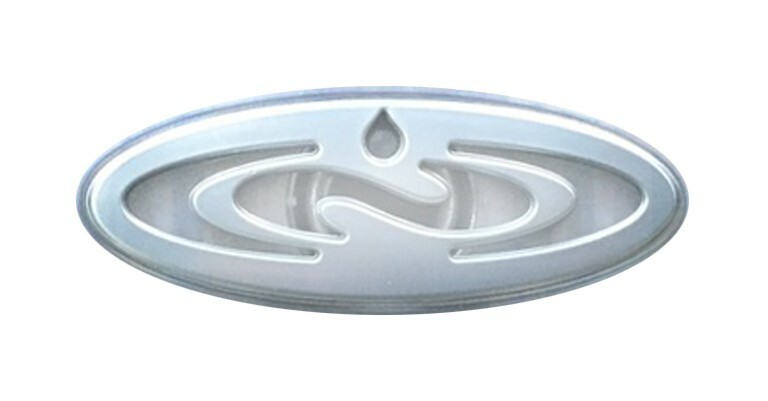 Also compatible with the optional D1® SpaIQ™ app to control your spa from anywhere.